This article originally appeared in the May 2018 issue of Nashville Arts Magazine. Most versions of the Design Thinking process encompass the following steps. Design Thinking involves building empathy to understand the need or issue clearly; defining the problem or driving question; brainstorming ideas to address the problem or question; improving or coming up with new ideas based on feedback about initial ideas; designing a prototype that is tangible, digital, or actionable; testing the prototype to determine what works and what needs to be fixed; and repeating steps of the process until a final product or idea is ready to implement. 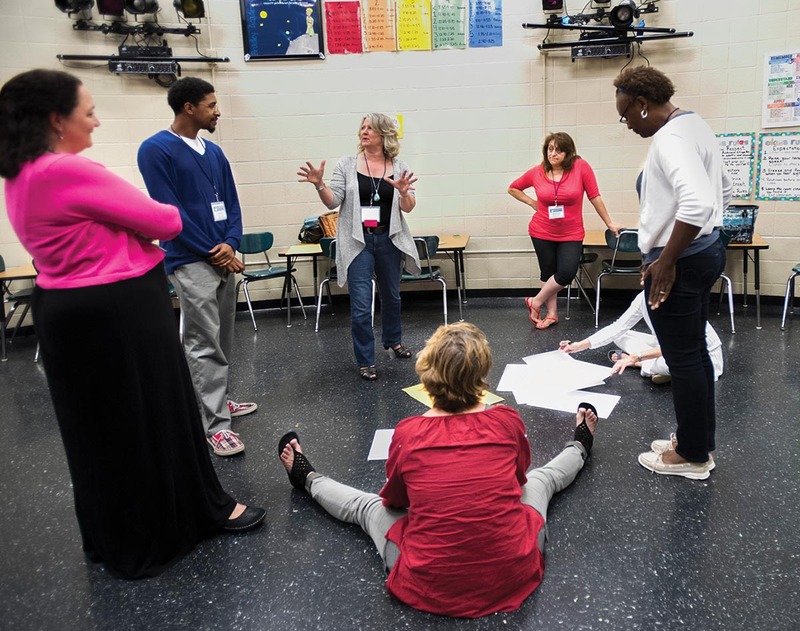 This process is valuable for educators because it develops 21st-century learning skills such as creativity, collaboration, communication, and problem solving and soft skills such as interpersonal (empathetic), flexibility, and teamwork. Design Thinking encourages students to embrace a maker-mindset, consider unlikely solutions, and persevere until a final solution is determined. What’s fascinating is Design Thinking challenges a fixed mindset and builds a growth mindset—a mindset both students and teachers alike should embrace. Most conference sessions will take place at APSU’s new Art + Design Building, a space conducive to exploration and inspiration. The conference offers in-service hours and is approved to award Continuing Education Units (CEUs) for teachers through APSU’s Continuing Education Program. For more information or to register, visitwww.tnartscommission.org/2018-statewide-arts-conference/.